When detectives drew up a detailed family tree of nine-year-old Shannon Matthews, it was so complicated that the diagram looked more like the London tube map. Rather than spreading out in conventional fashion, it veered off in various, complex directions. 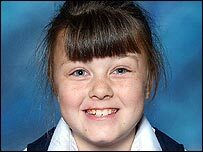 Karen Matthews gave birth to Shannon on 9 September, 1998. She is one of Karen's seven children - by five different fathers. Karen's current partner, Craig Meehan, is the father of her youngest child. The couple have been together for the past four years. At 22, Craig is 10 years younger than Karen. It is his uncle - Michael Donovan - who has been charged with the kidnap and false imprisonment of Shannon. When she disappeared last month, Shannon was living with Karen and Craig in Dewsbury Moor along with three other children. Shannon's real father is Leon Rose, who lives 10 miles away in Huddersfield. When Karen and Leon were together, they had two children - Shannon and her older brother, who now lives with his father in Huddersfield. Of Karen's seven children, four live with her and three - two boys and a girl - live elsewhere. Her partner, Craig, is also believed to come from a large family. It has been reported that he has nine aunts and uncles. During the course of the police investigation into the disappearance of Shannon, they looked at all of her family connections. At the same time, they searched 3,000 houses in the Dewsbury area and spoke to 6,000 different people. Although Shannon's father, Leon, did not see much of her during the months before she disappeared, he stood side-by-side with Karen and Craig during one of the community events to highlight the search for the missing schoolgirl. And when step-father Craig was criticised by some members of Karen's family, Leon defended him. As well as highlighting the divisions in the family, the search for Shannon brought some relatives closer together.